Source 1 is a comprehensive solutions provider to the Surfacing Industry. Source 1 was first established in April 2007. It began as a small operation out of a warehouse unit in Orlando, Florida. Over time, Source 1 has proven to be an innovative, dynamic, and customer-focused organization successfully operating to serve the diverse needs of its internal and external customers. Consequentially, in August 2011, Source 1’s operational requirements called for growth, which warranted more space and expanded capabilities. Thus, Source 1 moved its base to Rockledge, Florida, to a facility that could sustain its robust services. Source 1 services various customer types: Residential, Commercial, and Industrial. Source 1’s Managing Member, Mike Grogan, leads the organization with more than 20 years of experience in the Surfacing Industry. 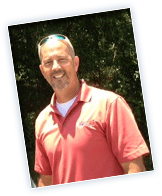 During his 15-year career at Gruber Systems, Mike further developed his knowledge base and was one of the top performers of the Gruber’s sales team. Mike’s expertise promises to continue exceeding the expectations of Source 1 customers for years to come. Source 1 is a one-stop shop for your Surfacing Industry essentials. Because Source 1’s main focus is meeting the needs of its customers, the team continuously strives to anticipate, identify, and solve its customers’ requests. Source 1 staff encourages the customer to be an active participant in the business. And, as such, the customer is urged to provide feedback to help both entities in a collaborative relationship. Source 1 staff will go out its way to offer comprehensive solutions for your Surfacing needs and to provide you the information and resources necessary to make educated decisions about which products, services, and solutions are best for you. You deserve the best! We work with you! Source 1 offers its customers the peace of mind, confidence, and reliability that come with extensive field experience and a commitment to customer satisfaction. Source 1 believes that quality performance is a result of our ability to understand your specific needs, and provide systematic and sustainable solutions to resolve those. At Source 1, we recognize that our customers have some options when selecting their Surfacing Industry servicer. But, rest assured that we are committed to be your provider of choice. Thank you for taking the time to learn about our company, our product and service offerings, and the many ways we may be a solution provider for you.